Do you have a baby on the way? If so, you are likely already wondering how you are supposed to make your home safe from harm. The good news is that with a little work, you’ll be able to make your house or apartment that much safer. Let’s take a look at how you can child-proof your home in under a few hours. For the first few months, your baby will be spending a lot of time either sleeping or resting in their crib. You’ll want to keep the crib away from any cords, blinds, drapes or other items the baby might get their hands on. The crib itself should meet federal safety regulations and should be comfortable without being too restrictive. Next, it’s time to take a quick sweep through your halls and stairways. 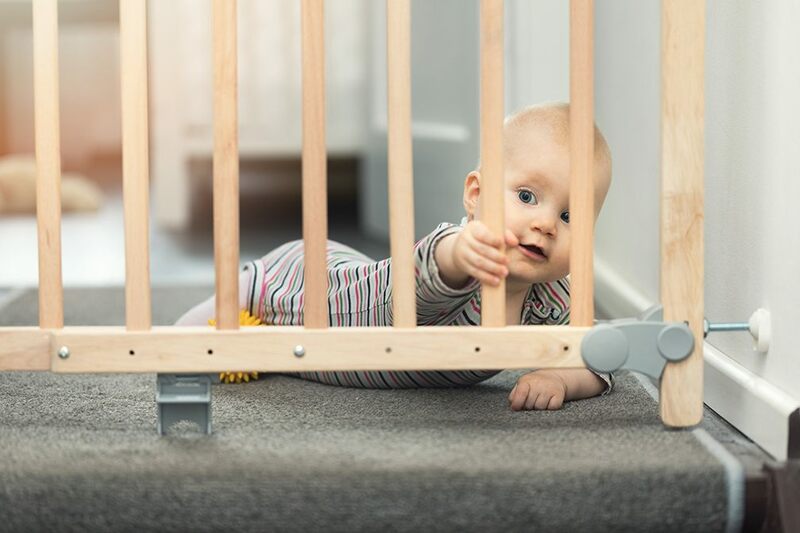 Once your baby starts crawling, they’re at risk for falls and other issues. Go through your hallways and look for any items that the child might pull over. For example, if you have hall tables with plants or pictures on them, are there any fabric items which the baby might be able to reach? Your stairways should have some sort of baby guards placed in front of them at all times. If possible, you’ll also want your stairs to be carpeted. This can help to reduce injury if your child takes a tumble down the stairs. Finally, don’t forget the kitchen. There are all sorts of dangerous items in the average kitchen, from heavy appliances with loose cords to tablecloths that can lead to utensils on the floor. In short, everything should be kept in drawers and out of a child’s reach. Cupboards should be secured so that a baby can’t open them. If you want to go a bit further, consider installing some padding on the legs of hard kitchen furniture and on corners where a baby could bump their head. It’s almost impossible to fully baby-proof a home, but the above checklist is a good start. If you have a baby on the way and are looking for a larger, safer home, contact your local mortgage professional.